Many of the advanced yoga postures came to me pretty easily but for the life of me, I could not hold a Warrior III for more than a few seconds, particularly standing on the right leg. When everyone else in class seemed totally at ease, I would start shaking. I know they say it’s just the ‘negative energy‘ leaving the body – but can that be it? No issue here with weak bum muscles…! Weirdly enough, I just never thought about it. And I never questioned my weakness in particular postures, failed to see the common denominator. You can’t ace everything, right? So I thought it’s just in the spirit of yoga to have to remain at a pretty basic level for certain things (we practice non-attachment, after all…). Now, here’s the thing: I’ve also had SI joint pain for many, many years. And for as long, I’ve been totally blind to the fact that both (my weakness and the SI joint pain) were on the same side. I just put the SI issues down to hyper mobility because of my background in gymnastics, tried to work with a few yoga teachers (and teacher’s teachers) and two chiropractors – to no avail – and told myself that I would simply have to live with the pain. This means, to be blunt, that my bum muscles are very short, weak, and have not been used properly in years. A short, non-exercised muscle gets tight and in this case pulls on the hip, literally pulling it out of alignment. And that after so many years of yoga, running and gymnastics. I was baffled. Apparently what happens is that other, larger muscles simply override those muscles that we should be using when adopting correct posture. But it also means that those muscles, in my case particularly the spinal extensors (the ones running alongside the spine) get overworked, tired and tense. Some muscles do nothing, and some have to work too much. Hi! Glad I found you. I’ve been suffering from si joint pain for two years now (a teacher at a very famous ashtangi yoga studio in Miami Beach laid across my back as i was in pretty much full expression of forward fold, as i have extremely flexible hamstrings. This resulted in torn and bulging lumbar discs, but the worst part was the damage done to si and the ligaments). 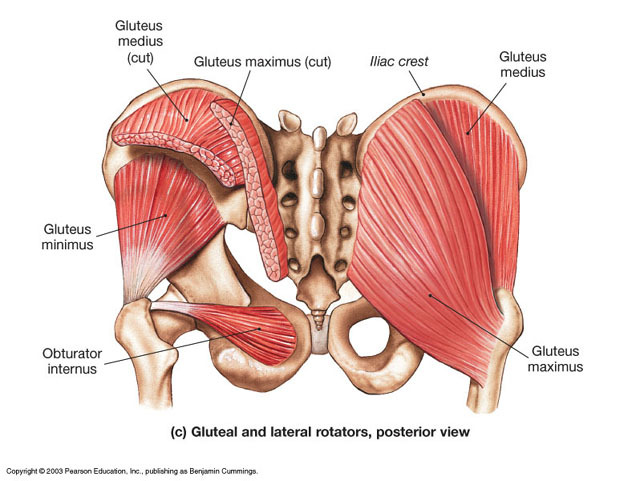 I know I have to work my glutes and bridgework is usually recommended in that endeavor, but my question is more about how you modify your practice? Things I stay away from: forward folds of any kind (if I do them it’s with knees bent and to release my lower back) wide legged forward folds, no warrior 2’s or triangle poses, no deep twists, and just try to keep an overall evenness to my pelvis at all times. Also I swap out up-dogs for sphinx in my vinyasas, as it puts less strain on my lower back. I’ve only really done a handful of classes in two years, but I’m in constant pain anyway, and I miss my practice dearly. I hear you. And yes, my pain started when I was really getting into ashtanga yoga (the fact that I was a previous gymnast and hypermobile didn’t help). Unfortunately I haven’t been able to get entirely rid of the pain and I’m doing exercises to manage it. Most days it’s fine, but when I don’t have time to keep up with my exercise, it tends to come back. In terms of the practice, it’s really hit and miss. I’ve eliminated the warrior poses and anything that threatens the integrity and alignment around the hips. Overall I’ve also realised that at this point in my life, the ashtanga yoga series does not work for my body. Sorry not to be more helpful – all the best and I hope you’ll feel better soon! My hips are soooo weak! 😦 I know I have weak bumbum muscles. Interesting. I have been having similar pain for years. And yes, I have that hip-swinging gait. Been planning to see a physiotherapist. I guess it’s about time I got some help. Thank you for this useful information. I hope you’re having a great experience with your physio – mine certainly saved my life! I agree….would you be able to share some of your favourite glute exercises? Very unexpected and interesting article! Great article. Would you care to share some of your favorite Glute exercises?